That's right, I'm entering into a whole new world of photography. Inspired by a large-format shooting client, my new medium format system will enable me to capture massive amounts of detail with my shots. 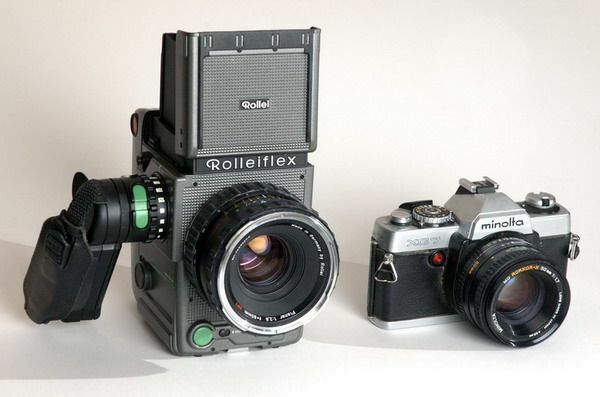 The camera pictured on the right is a 35mm Minolta I used years ago for a bit. Quite a significant different when they're beside each other. Today I had a meeting in Victoria and intended to apply for my passport as well. I knew the passport thing was not going to be as easy as pie as I'd heard the horror stories about the lineups at 5am. So I asked the guy at the front of the line of 100+ people how long he'd been waiting in line and he told me "yesterday afternoon". So ... uh .. needless to say, I didn't get my passport applied for. The day turned out really well though. Beautiful outside, my shoot with Neil Russel of Celtic Cross Instruments went really well. 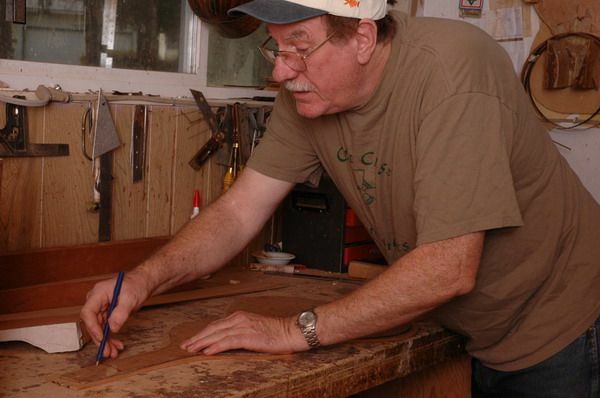 He's crafted 300+ guitars, and counting.